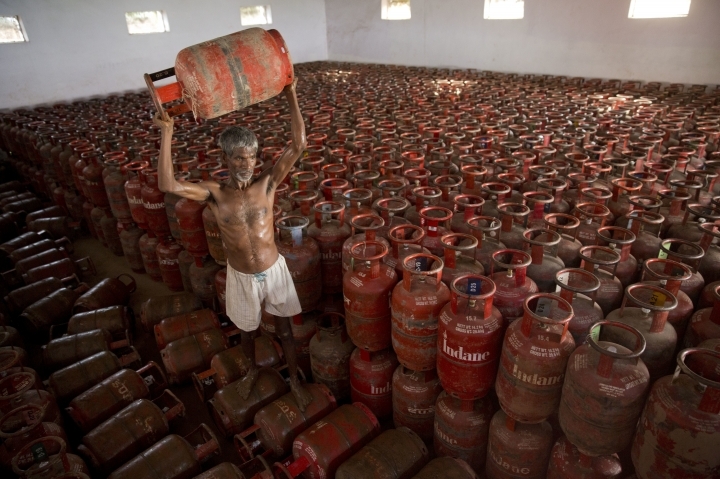 NEW DELHI — India has become the world's second largest importer of liquefied petroleum gas as its government pushes cleaner alternatives to traditional cooking fuels such as firewood and cow dung. Petroleum Minister Dharmendra Pradhan said Wednesday that imports of LPG grew 12.5 percent over the past five years to 12 million metric tons (13 million tons) in 2018-19, surpassing Japan and putting India in second place behind China. India's financial year runs from April to March. He said demand for LPG is projected to rise 34 percent from 2014 to 2025.